Fireside Magazine. Eliot, T. S. (Thomas Stearns), 1888-1965. MS Am 1635.5. The ten-year-old Eliot is fascinated with hobos; they turn up repeatedly in these pages. “Higginson’s Hot Hoe-cakes for Husky Hoboes,” for example, features as an advertisement in Number 3.Sweeney (a character in The Waste Land, in Poems 1920, and in Sweeney Agonistes) also appears for the first time here, as a bearded Dr. Sweany, promoting a cure for insomnia. 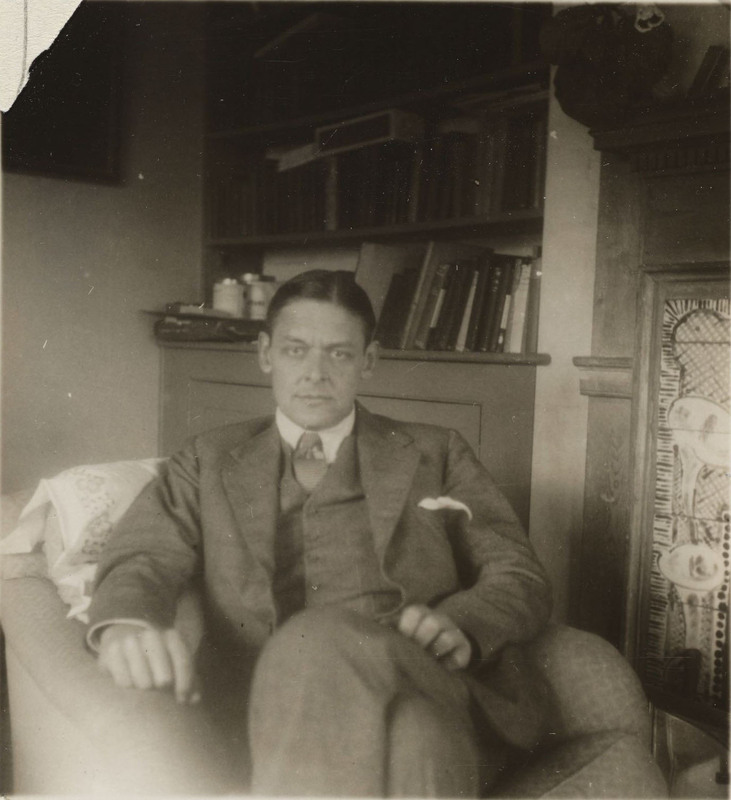 Fireside’s miscellany is telling; after the magazine folded, Eliot – who seems to have begun fashioning himself as a “T. S.” early in life – continued to wear the hats of poet, critic, publisher, and dramatist. One of his Panama hats is kept at Houghton in MS Am 2890. 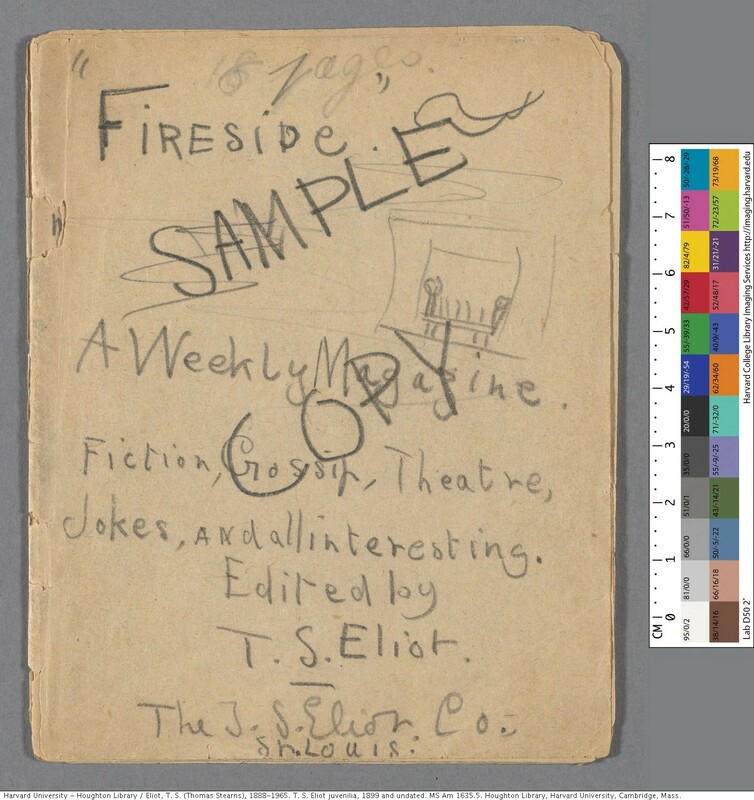 Fireside is now housed at Houghton MS Am 1635.5, near a typescript of The Waste Land and some of Pound’s Cantos, according to the catalogue’s new virtual browse feature. It has been digitized (link requires a Harvard password). Eliot’s playful side also emerges, several decades later, in reports that he liked to put exploding sugar in Virginia Woolf’s tea. Images of Woolf and Eliot can be seen in her Monk’s House albums (MS Thr 559-564); they are available through OASIS, although no photographic record of the exploding sugar has been found.